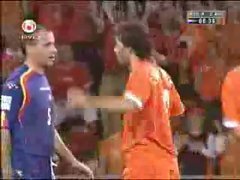 After being laughed at for missing a penalty Ruud gets payback. Beckham sets up an easy goal for Ronaldo. Doesn't want to jump anymore..